Andrey Veselov secured the largest cash of his career by winning £114,530 and the title of WSOP-C UK Main Event champion. Andrey Veselov got his hands on his first six-figure score after outlasting 1,023 opponents in the 2019 World Series of Poker Circuit (WSOP-C) Main Event at Dusk Till Dawn on Apr. 14. Veselov has six five-figure prizes on his Hendon Mob profile, the largest worth £23,950. Now the UK-based Russian can brag about a £114,530 score and the fact he is now a WSOP-C champion. Mahamed Muse was the next player to fall after his short-stacked shove from the small blind with was instantly called by Fraser MacIntyre with . The runout was no help to Muse and he busted in eighth-place for a £21,000 prize. You need to win coinfllips in order to win poker tournaments, it’s just how the game is. Jack O’Neill’s excellent run came to an end in seventh-place after losing a coinflip with against the in the hand of Hasmukh Khodiyara. A queen-high board kept Khodiyara’s hand best and the player count was reduced by one. Sixth-place and £35,000 went to James Alsop who may count himself unlucky to see pocket queens cracked by the ace-ten of Khodiyara. Alsop three-bet all-in with and lost to Khodiyara’s when the community cards fell . 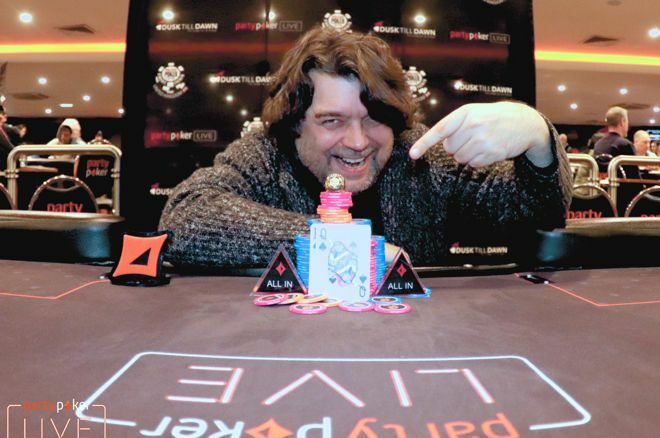 MacIntyre, owner of Main Event Travel, busted in fifth-place and collected £44,000. After losing a coinflip with against the of Paul McAulay who flopped a flush, MacIntyre three-bet all-in with and ran into the of Khodiyara. MacIntyre found no help on the board and headed into the cold spring night. McAulay then lost two big hands in quick succession, the second sending him to the cashier’s cage to collect the £55,000 fourth-place prize. 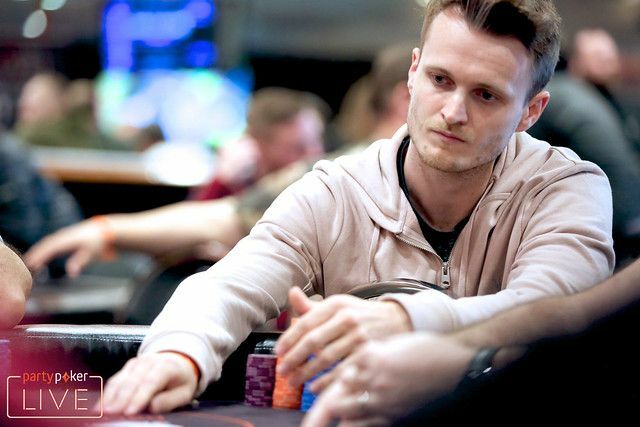 First, a raising war broke out on the flop between McAulay and Veselov that saw Veselov all-in with and McAulay in a commanding position having flopped a set of five. That all changed when the landed on the turn to gift Veselov a full house. The river completed the board and Veselov’s double. Soon after that cooler hand, McAulay was all-in with against the of Chung. A queen on the flop of the board ended McAulay’s tourament. The final three players struck a deal that saw Veselov bank £99,030, Khodiyara lock up £111,935 and Chung secure at least £97,065. This deal left £15,500 and the coveted gold WSOP-C ring for the winner. Chung’s run ended at the hands of Khodiyara and it was a coinflip that claimed another victim Chung opened the betting with and called off his remaining chips when Khodiyara three-bet all-in with , neither player improved on the board, but Kohdiyara didn’t need to. Game over for Chung. That hand gave Kohdiyara a 34,625,000 to 16,500,000 chip lead over Veselov going into heads-up, but Veselov pulled almost level when his came from behind to beat the of Khodiyara after dwindling down to 11,325,000 chips. Veselov’s comeback was completed when he opened to 1,300,000 with , Khodiyara three-bet to 3,100,000 with and Veselov four-bet jammed, saying “Let’s finish it” to Khodiyara. After going into the tank and using one time extension, Khodiyara called off his remaining chips. The flop gave Veselov a flush and a significant advantage. Khodiyara needed running cards for a straight flush, so was drawing dead when the arrived on the turn. 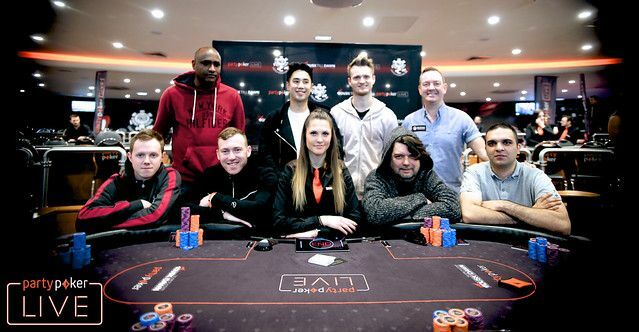 The completed the board, Khodiyara busted in second-place for £111,935 and Veselov was announced at the 2019 WSOP-C UK Main Event champion, an accolade that came with a £114,530 prize and a WSOP-C gold ring. This Deposit Offer Could Make You a Millionaire!